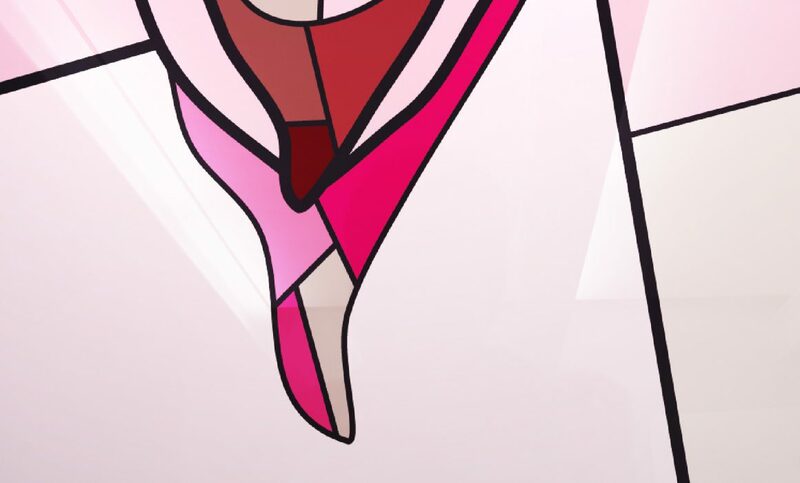 This series represent large scale simplified human genitalia. Each ” c*nt, d*ck or *ssh*l*” represents a religious figure I don’t approve of, instead of painting the person themselves, because that would just be too easy. The paintings are made to look like lead and stained glass windows, like often found in churches and mosques. This way, I want to try to create awareness, through aesthetically beautiful paintings, that religion keeps dividing our world.